Holidays are ideal for wedding proposals. According to The Knot, December is the most popular month to get engaged. Valentine’s Day is the most romantic day of the year, making a proposal seem a propos, and the midnight chime of New Year’s brings a significant meaning to new beginnings when a ring enters the picture. Ghouls, goblins, ghosts…trick-or-treating. Halloween is a holiday for macabre magnificence, fantastic frights and, yes, even perfect proposals. For those who dare, that is. 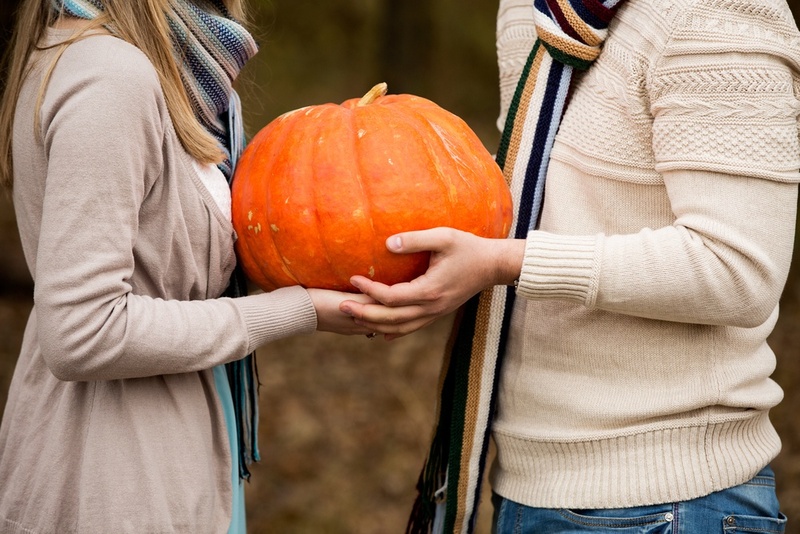 The Halloween proposal isn’t for the faint of heart or the traditional. Dropping on bended knee while covered in fake blood and possibly dressed as a member of the undead takes…guts. Yet, proposing a lifelong union on the night when the veil between the spirit world and the living world is the thinnest could hold its own spiritual significance. Indeed, there is magic in Halloween. A different kind of magic than other holidays, but magic nonetheless. Halloween magic is the kind that scares you in a good way, like falling down the first big dip on a roller coaster. Halloween is the one night that anyone can be anything. The mask is OK. Fantasy and reality blur, making a dream proposal seem all the more likely. Some couples gravitate to Halloween out of goth inspiration. Others just love the intrigue, the scares, and the excitement of the night. Whatever draws the engagement to All Hallow’s Eve, plan the perfect proposal to mark life’s most monstrously meaningful moment. Under the Stars. At Midnight. Magic is in the stars. 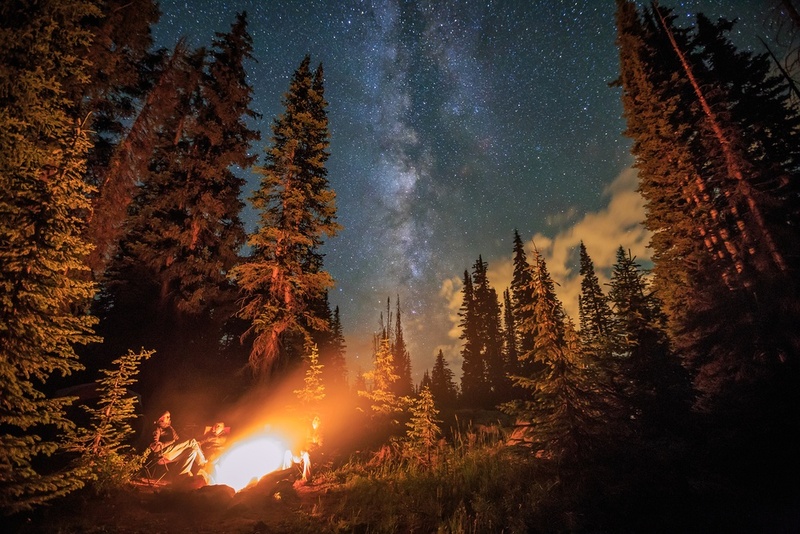 On Halloween, the night sky holds more magic and mystic meaning. Before the clock strikes the night down, and All Saints Day begins (or Dia de los Muertos), propose under the magic of the night sky. Pack a blanket and a bottle of wine, and snag a few bags of her favorite candy. After a good scare at a favorite haunted house, pick a scenic and horrifically wonderful spot outside of the fright fest to pop the question. The moment will be a complete shock after the scares that preceded the proposal. Just don’t shock her quite as much as the axe murderer did. You’ve seen how she can get. Haunted cities are everywhere, lurking outside everyone’s hometown. Schedule a late night ghost tour on Halloween, and use the soulful ambiance to propose. Be sure to tell the tour guide in advance, and ask about areas of particular significance that might amp up the proposal’s magic. This is also a fun way to involve friends or family without her needing to know why they are there. Halloween proposals require a gemstone suited for the occasion. White diamonds are traditional. Black diamonds scream midnight magic. Mount these dark beauties in a setting that highlights their coal dark color. Choose metals with a mirrored shine like white gold or platinum. Preset black diamond engagement rings display the diamonds in classic platinum or white gold bands and can be set with a diamonds in a range of carat sizes. Gemstone halo settings magnify the black diamond’s unique luster. Add a halo of rubies for a gorgeous gothic engagement setting. A halo of white diamonds creates a ring of fiery spark, showcasing the black diamond. Or a halo of midnight blue sapphires can inspire a feeling of mysticism and magic. 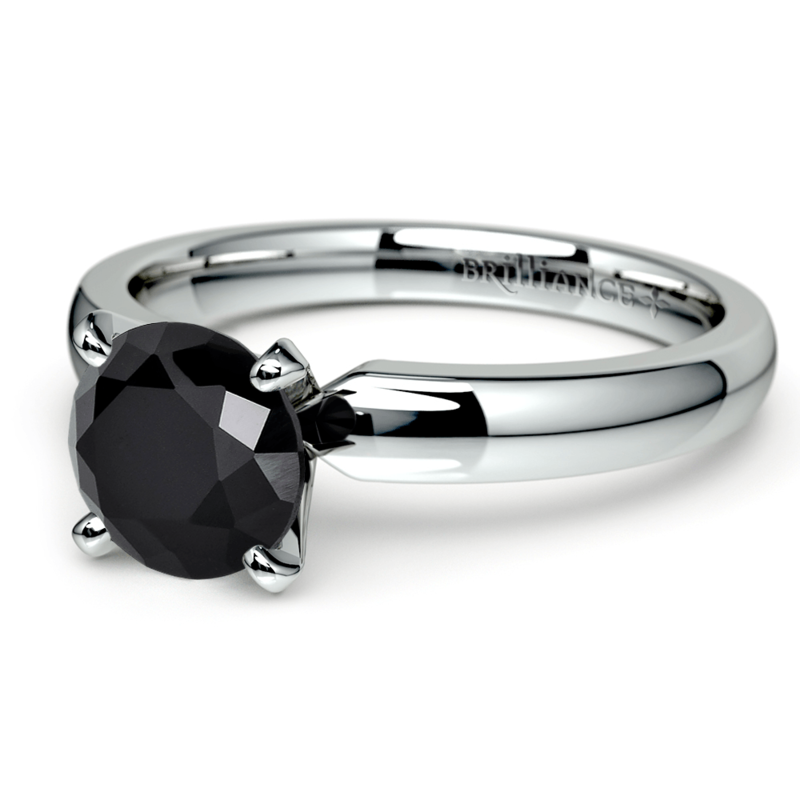 Pair black diamond engagement rings with wedding bands featuring the same. 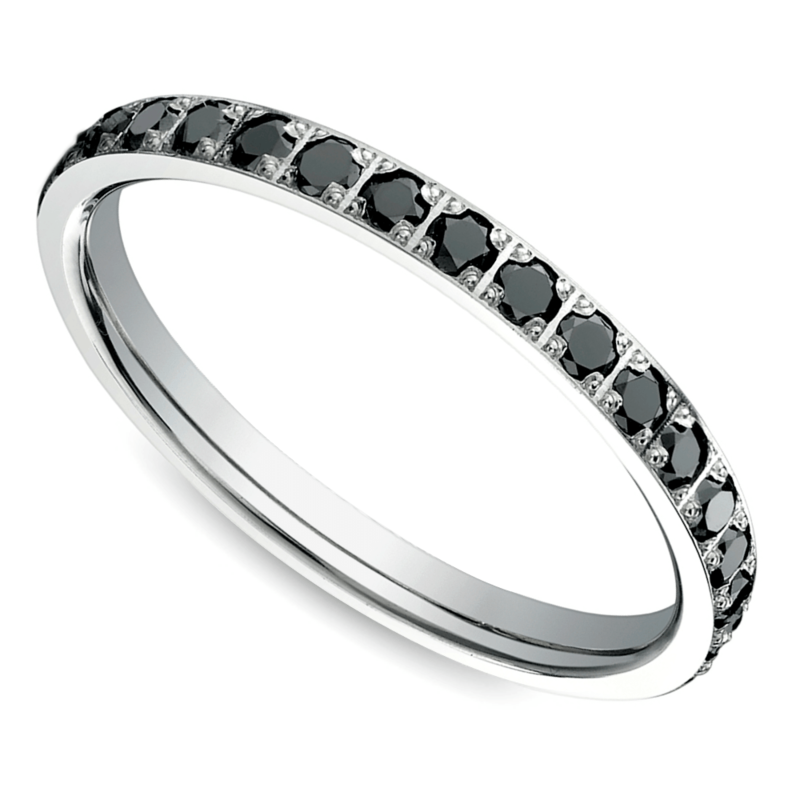 The black diamond wedding band features 0.75 carats of black diamonds set in a white-gold pave infinity design or add white diamonds to the band to create fire. For a delicate design of dark diamonds, the petite pave set black diamond band features 20 diamonds totaling 0.25 carats set in platinum or white gold. For him, opt for wedding bands that pair black diamonds with another out-of-this-world material—Gibeon Meteorite. 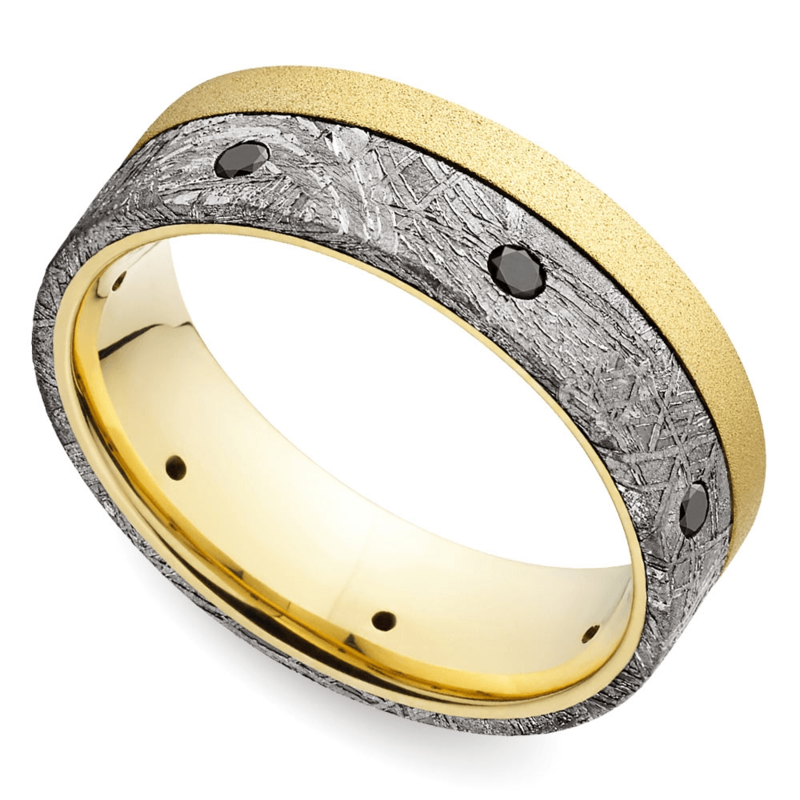 The black diamond men’s wedding ring is set in yellow gold with an inlay of genuine Gibeon Meteorite dotted with seven black diamonds totaling one-third carat. Halloween’s magic, mysticism and mayhem mix together for a fantastic love potion destined to set the mood for a perfect proposal. Couples who sway from tradition and who delight in fright can celebrate their uniqueness on the night when treats abound and tricks are celebrated. Begin forever on Halloween with spellbinding Brilliance.